Global progress on controlling malaria risks stalling due to an "urgent need" for more funding, the World Health Organization (WHO) warned in its annual report on Tuesday. Overall, the number of new cases fell by 21 percent between 2010 and 2015, and mortality rates fell by 29 percent—31 percent in the African region. But globally there were still 212 million new cases and 429,000 deaths last year—which could be prevented. For example, 43 percent of the population in sub-Saharan Africa was not protected by treated nets or indoor spraying. "The unprecedented progress in malaria is one of the biggest successes in healthcare history," Pedro Alonso, director of the WHO Global Malaria Programme, told reporters in London. "But still, every two minutes a child dies of malaria. "There's no room for complacency—a lot more needs to be done. We need to see more domestic resources from the countries affected." He added: "We need new drugs, drugs that allow us to do more than treatment" and actually prevent the disease. 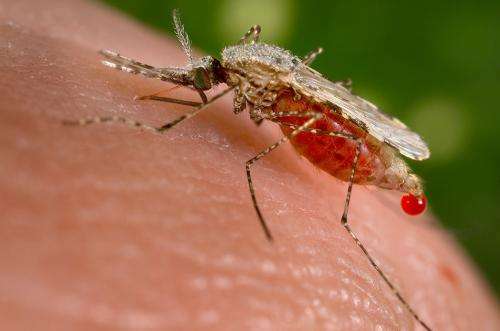 The report said that "sustained and sufficient funding for malaria control is a serious challenge", noting that after a steep increase between 2000 and 2010, investment had "flat-lined". "In 2015, malaria funding totalled $2.9 billion, representing only 45 percent of the funding milestone for 2020 ($6.4 billion)," it said. The United States provided about 35 percent of all malaria funding in 2015, while governments of countries with malaria stumped up about 32 percent, and Britain 16 percent. However, it highlighted improvements in sub-Saharan Africa over the past year in providing help for pregnant women and children against malaria. "Malaria-related deaths among children under five in sub-Saharan Africa are at their lowest point in history," said Ray Chambers, the UN Secretary-General's special envoy for malaria. "This is largely attributable to the nearly 500 million insecticide-treated bed nets delivered over the past three years, the highest ever, along with significant expansion of diagnosis and treatment." Sub-Saharan Africa was home to 90 percent of global malarial cases and 92 percent of deaths in 2015.